We’ve all felt that sensation as readers. You discover a book and fall in love with it. Everything is perfect. Then you learn it’s the first book of the series. And you wait with anticipated breath for the second book to be released (or be delivered to your library, if you discover a series already finished). But then you get your hands on the book, only to read it and find yourself extremely disappointed by how horrible (or at least mediocre) it is compared to the first book. I, like many, have had that feeling. So rarely can a sequel live up to the first book. Today I wanted to look at the worst books which suffer from that second book curse. Some of these might be unpopular opinions and if you disagree, I’d love to hear why you love these books. Unlike most people, I didn’t hate the first book of this series. Yes, it was cliched and Bella’s character is incredibly bland. However, there are a lot of things to like about the first book. The world is interesting, especially considering it presents the vampires as both good and bad. The Cullen’s family is amusing and the romance, while a bit creepy, is a type of escapism. Who wouldn’t want a perfect, handsome, sparkling vampire to fall in love with them for no apparent reason (not me, but many girls do apparently)? But this second book was incredibly boring. Even the third and fourth book were better, mostly because nothing happens in this book. Edward decides to leave Bella “for her protection” (though she probably would be safer with him) and then she becomes slightly suicidal. Most of the book is her missing him and hanging out with Jacob the werewolf. Nothing happens! 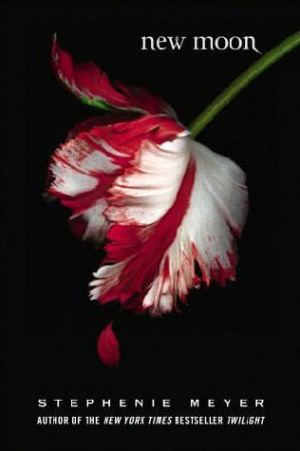 Compared to this book, Twilight was a masterpiece! I read the first book of the series before the horrible movie, which was even before the second book was released. 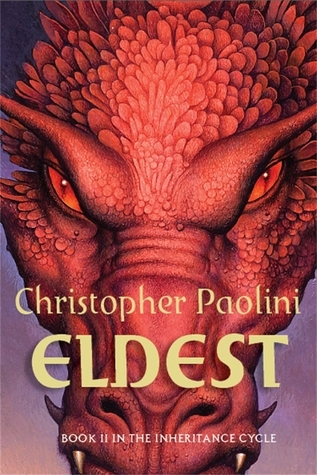 While I’m not a big fantasy reader, I loved the first book. The world was fascinating, and Eragon and Saphira was both brilliantly developed characters. And then the second book was released, and Eragon promptly turned into a simpering, useless boy obsessed with getting an elf-girl to like him, even though she made it clear that she didn’t. It was the weirdest change in his character. Because his character was so atrocious, many of the plot points seemed driven more by outside forces instead of his own decisions. I ended up disliking this book so much that I never returned to read the next two books. Saying that, I should go back and read them. You guys probably know how much I love Howl’s Moving Castle, because heaven knows I’ve talk about it enough. However, it’s been a decade since I’ve read its sequel and I have no interest to read it again. Let me just say, it’s not a horrible book. 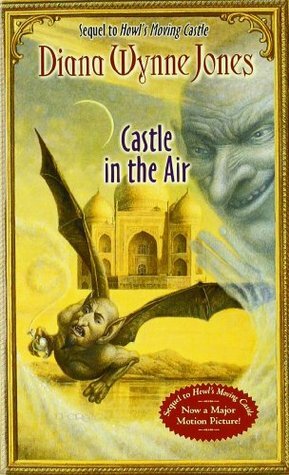 It’s kind of a retelling of Aladdin, and has little to do with the original Howl’s Moving Castle. But I read it mainly because it claimed to be the sequel of one of my favorite books of all time and it was just a very average book. For the record, I don’t hate this book. But it wasn’t interesting. The characters were shallow, a lot of the humor of the first book was missing, and even the world wasn’t as interesting. 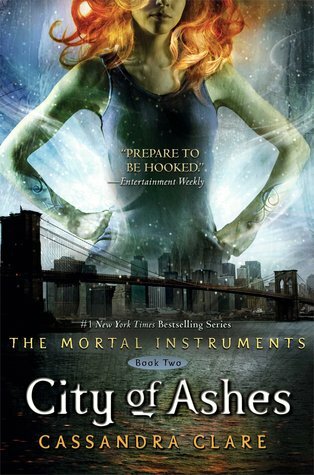 City of Bones, the first book of this series, is not a perfect book by any means. The characters are a bit bland and the plot is predictable, but it was actually a pretty enjoyable book. You start off with an interesting world where demons and angels exist, and there are people called Shadowhunters who fight the evil hidden from most humans. Clary is pulled into the world, and begins a romance with Jace. It’s not a great book, but I enjoyed it. And then I read this book. The world isn’t further developed, and that was my favorite part of the first book. The plot devolves into a silly romance triangle with nothing much really happening. Every plot point seems driven by the stupid characters’ actions. There is very little I can think to praise about in this book. And, honestly, the books get worse from here on. I read both the third and fourth books as well before finally giving up, and they were both equally as bad. This may be an unpopular opinion, because I know so many people love this series. I just don’t see why, after the first book. 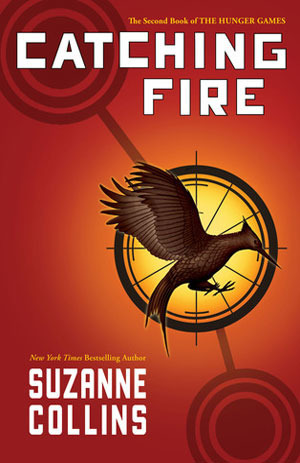 In the first The Hunger Games, Katniss volunteers for the Hunger Games to save her younger sister. In the end, she and Peeta tie for first place. I really enjoyed the first book. It’s all about survival against insurmountable odds and turning everyone into monsters in order to survive. It’s a fascinating concept and though not perfect, it was a really good book. And then I read this book. The dictatorship government of the capital decides to change up the Hunger Games this year by having it be a victors competition, bringing back all the old winners of the Hunger Games to compete against each other. Meanwhile the rebellion outside the capital is growing (which we don’t see until the third book). This is why this book feels so pointless, because it’s pretty much the first book redone, with slightly different scenes and more drama. Although I didn’t like the third book either, at least it made sense and was unique. This second book felt so pointless. The only important thing which actually happens is that Peeta gets kidnapped in the end (which was the most pointless side plot because he is rescued in the next book and it doesn’t change much). 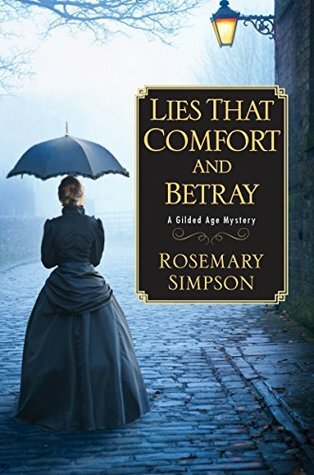 This list would not be complete without a historical murder mystery, because it is my favorite genre! I read the first book of this series, What the Dead Leave Behind, in 2017 and I absolutely loved it. Naturally, I was excited to read this one, which was released about a year ago in early 2018. But it was rather boring. All the things I liked about the first book seemed weaker in this one, like the dynamic dialogue between the two protagonists and even the murder mystery itself. Again, this isn’t a horrible book. I still gave it three stars, but that’s down two stars from the five stars I gave the first book. In fact, this wouldn’t even have been on this list if I hadn’t loved the first book so much. However, I wasn’t completely done with this series. I read the third book, Let the Dead Keep Their Secrets, which was released in November of 2018, and it was pretty good. But the series hasn’t seemed to reach just how good the first book was. Which of these do you think is the worst sequel? Posted on April 15, 2019 April 7, 2019 by Madame WriterPosted in ReadingTagged book review, Books, fantasy, historical, murder, mystery, rant review, YA.